The Type 022 features a wave-piercing catamaran hull design called the Small Waterplane Area Twin Hull (SWATH). Traditional catamarans have poor stability in high seas at high speeds. The specifications should be similar to the AMD350PB. AMD is the Australian company that helped China develop the fast attack patrol boat. Rudy Giuliani recently comparing his public duties to that of Mitt Romney's. He described it as "my far superior record to his otherwise-decent record." Giuliani wasn't exaggerating. Romney's record as MA governor is circumspect and a CNN article explains why. Giuliani worked in New York City nonstop for eight years while Mitt was not in Massachusetts much of the time when he was governor. Mitt's record in Massachusetts is less impressive because he was only in office for one term and left the governorship with a 39 per cent approval rating, making his reelection improbable. Halfway through his term he started laying the groundwork to run for president. Since then Mitt has been running on executive experience and running away form his record as MA governor. Mitten's CEO approach with the Democrat-dominated legislature fell flat. He was an autocrat who didn't even know the name of the key MA Democratic leaders. According to Conservapedia, Romney vetoed 844 pieces of legislation and had 700 overridden. He even alienated Republicans in the MA Senate. As the chairmanship of the Republican Governors Association for the 2006 mid-term elections, he spent two-thirds of his time out of state.
. . .(A) more detailed portrait of his time in Massachusetts can be found in the essential book "The Real Romney," written by two Boston Globe reporters, Michael Kranish and Scott Helman. 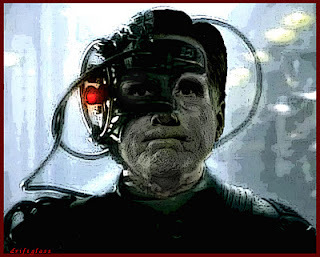 But suffice it to say that Mitt is a very goal-oriented guy, and after achieving the governorship, he set his sights quickly on the next challenge -- the one that had eluded his beloved father -- the presidency. Of interest, Mitt is behind by 25 points in his home state of Massachusetts. This this be a warning shot to anyone thinking he is presidential material. America doesn't need a president who an aloof technocrat, who lacks political skills and who vetoes bills that have taken months to creep though the halls of the House and the Senate. Rightardia believes Romney would be a gridlock president. The 60-second ad was announced May 16. Crossroads GPS said it would run in 10 states (Colorado, Florida, Iowa, Michigan, North Carolina, New Hampshire, Nevada, Ohio, Pennsylvania and Virginia) at an initial cost of $8 million. But that’s dishonest nonsense . . . This ad has been running daily in the Tampa Bay area. It is very misleading. The Republican National conventional in Tampa starts on August 27, 2012 and runs for three days. 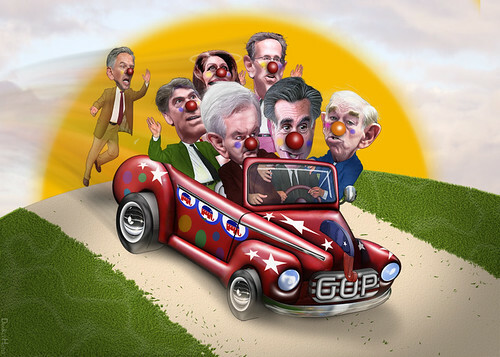 The GOP clowns will be there soon, led by Mittens the Corporate Clown. Security is elaborate and there is a huge corridor around the Tampa Bay Times Forum. Rightardia expects things to get rowdy near the forum. We would be disappointed otherwise. Many of you have asked how you can do more to STOP a dog abuser from being president. Many of you have asked if you can donate to Dogs Against Romney. The answer is "no, you cannot donate to Dogs Against Romney, because we are not an official political action committee (PAC). That's why we have decided to endorse the Mitt is Mean SuperPAC. You CAN donate to the Mitt is Mean SuperPAC and they WILL educate people in key swing states about what Mitt Romney did to his poor dog, Seamus - and how MEAN Mitt Romney is. See more at Dogs Against Romney: Help Stop the Dog Abuser. Support the Mitt is Mean SuperPAC Subscribe to the Rightardia feed: http://feeds.feedburner.com/blogspot/UFPYA Rightardia by Rightard Whitey of Rightardia is licensed under a Creative Commons Attribution 3.0 Unported License. Permissions beyond the scope of this license may be available at rightardia@gmail.com. 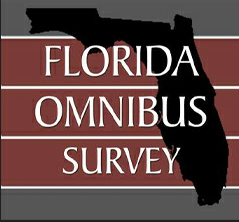 The quarterly Florida Omnibus Survey TM included a question to test a hypothetical gubernatorial match-up between Republican Rick Scott and Charlie Crist, running as the Democrat Party’s nominee. The results indicate that, overall, 34% of voters in Florida would vote to re-elect Governor Scott, while a plurality of 48% would opt for challenger Crist, running as a Democrat. The remaining 18% of voters were either undecided or volunteered that they prefer other candidates. As the graphic insert illustrates, while Scott leads among Republican voters, his net advantage is only 39%, while Crist has a net advantage of 61% among Democrat voters and 30% among independents and voters of other minor parties or those who are unaffiliated. Fishink: BTW, Where Was ‘The Donald’ Born? 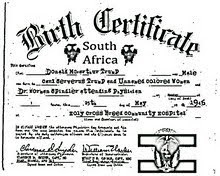 As we know from the example of the right-wring media, any question involving your place of birth must be answered by a slew of legal documents which they will then reject as forgeries and demand more. Rightardia: Keep in mind the Clown of NYC talked about a third party run for president. A pimp and a ho for the one per cent! Who is getting political contributions from small donors? Retired U.S. Supreme Court Justice John Paul Stevens said that the Supremes have already had second thoughts on its controversial Citizens United ruling that eased restrictions on corporate spending in political campaigns. Stevens, who dissented from the 2010 decision, said that at some point the court will issue an opinion "explicitly crafting an exception that will create a crack in the foundation" of Citizens United ruling. Aside from criticizing the Citizens United decision, Stevens also mentioned the Bush v. Gore case after an audience member asked him about it. "I think you have to have confidence that the justices will do their best to not make that same mistake again," he said to laughter and applause. Supreme court did, in fact, install Bush as president using civil rights law designed to protect minorities. Well, one per centers are minorities, aren't they? The Citizens United ruling was a blow to American democratic principals and will greatly help the GOP elect more plutocrats as president. The highest US court should be ashamed of these shabby rulings. Could this misspelling be a Freudian slip? As far as Rightardia could tell, college sports is primarily about getting contributions from alumni. Football and to a lesser degree, basketball, are big alumni draws. We are not fans of American football and consider it an expensive, bloated sport with teams that often exceed 80 players. The sport is over-specialized with kickoff teams, return teams, field goal teams, punting teams and so forth. The game is slow with entirely too many time outs and is micro-manged by coaches who call for unnecessary play reviews. Most colleges could operate a men's and women's soccer teams for less money than a traditional; football team. This is why some small colleges have abandoned football. Even the head coach of a college football team does not really coach, his staff does. The primary function of many college head coaches is to recruit high school players. Of interest, in Florida, most art and music teachers were laid off when the Great Recession started, However, the high school athletic programs such as football were left untouched by the budget cutters. ATHENS, May 29 (Xinhua) -- "Greek citizens are expected to lose some 55 percent of their current income per capita and recession could surpass 22 percent, if Greece leaves the euro zone, according to a survey of the National Bank of Greece (NBG) released on Tuesday in Athens." Atlanta, GA - "During the past decade, there has been an alarming increase in the use of immigration detention in the United States. From 2001 to 2010, the number of immigrants held in immigration detention each year nearly doubled from 209,000 per year to over 363,000. The increasing use of immigration detention is an unnecessary drain on government resources and taxpayer dollars. In 2012, the Department of Homeland Security (DHS) maintained a record-high daily detention capacity of 34,000 beds, costing taxpayers $2bn. 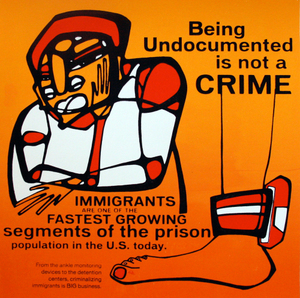 As of November 2011, the US government spent approximately $166 per day to hold one immigrant in detention. This is 18 times greater than the $8.88 per day it costs for more efficient, highly effective, and humane alternatives to detention. The for-profit prison industry is the main beneficiary of the ever-expanding, unregulated immigration system in the US." Wisconsin’s Democratic Party Tuesday released documents it says contradict Governor Scott Walker’s explanation of his role in a possible bid-rigging scandal. The Milwaukee Journal-Sentinel reported that the criminal “John Doe” investigation into Governor Walker’s aides when he was Milwaukee County executive is looking at possible illegal bid-rigging involving the governor. A private email exchange between Walker and his longtime campaign advisor John Hiller regarding a real estate contract Hiller had a financial interest in is at issue. The newspaper said sources have described the emails as a possible “bombshell." 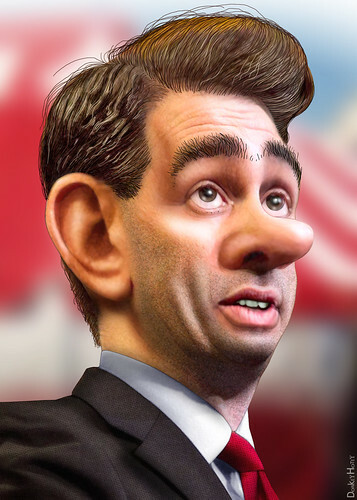 Walker has hired criminal defense lawyers and has spent tens of thousands of dollars from a criminal defense fund he set up to deal with the “John Doe” investigation. He faces a recall election June 5th. "The House minority leader said Republicans tout the private sector's role in creating jobs and say they are "the ones who say they're risk takers." "Now all of a sudden, they're saying, 'don't take risks,' " she said." 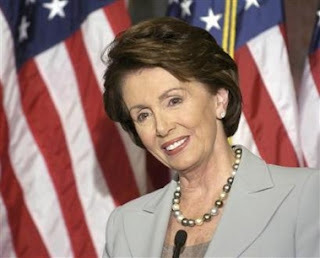 Rightardia thinks we need Nancy Pelosi back bad as the speaker. We used to read The Gavel, the US House blog, which had things going on in it all of the time. Several new bills were introduced weekly. At that time The Gavel had a positive tone. When John Boehner took over The Gavel became an attack vehicle against the president. Here are the cirrent headline articles in The Gavel. Where’s Senate Democrats’ Plan to Stop Student Loan Rates from Doubling? Why, because the 112th House was ineffective and only passed 75 bills in a two year period which is a historically low output for the House. The 112th went out of session with a 17 per cent overall favorability rating from Gallup, a historic low. It's favorability rating during the last week was 12 per cent, even lower. Anyone who thinks Republicans should continue to control the House is misinformed. The 112th was a "do nothing" House. it was a national embarrassment. Nancy Pelosi and the Democrats did a far better job of running the House. Even the founders would have been impressed with her work as speaker! Sidney Barthwell may be the only former classmate of both Mitt Romney and President Barack Obama. He thinks the former Massachusetts governor doesn't stand a chance when facing the incumbent president in debates before the general election. When they debate, Barack will smoke Romney. Mitt Romney is smart. Having said all that, I still think he’s going to get smoked. The best he can do is hopefully come out not looking like a fool. Mitt will find out the hard way as soon as they have their first debate: You don’t debate Obama. Barthwell, 64, was in Romney's 1965 class at Cranbrook Schools. he alsoattended Harvard Law School with Obama. He has donated money to both campaigns and has "tremendous respect" for both men. Obama struck Barthwell as "brilliant" at Harvard but he said Romney's years at Cranbrook were nothing to write home about. Mitt was not particularly popular. He was very, very ordinary. 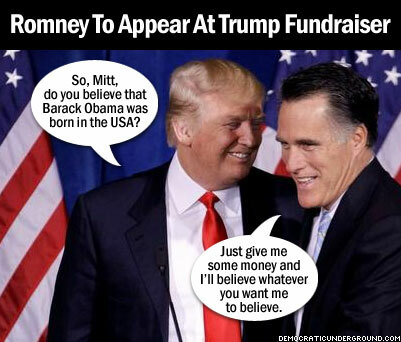 Mittens tells Donald: Show me the Money! Republicans suggest giving women maternity leave is anti-business. The Donald jumped the shark when he became a Birther. He lost a lot of credibility with moderate and progressive Americans. The conservative shtick is that democrats are anti-business, but liberal thought is originally based upon free enterprise and the rejection of monarchs. The Democrats need to make it clear that they are not anti-business. Of course, the conservative idea is the primacy of business in our democracy has no constitutional basis. Conservative also suggest that only successful business people should be in government, However, some of out most successive presidents such as Bill Clinton were primarily politicians. It is not clear what skills that business persons would bring to the table that would make them more effective leaders. Many corporate CEO's have authoritarian personalities. Mitt Romney is hardly an exception to this observation. Certainly, the economic performance of Republican presidents has not been that impressive. In most case Democratic presidents out performed their GOP peers with lower increases in the national debt and a more balanced budget.